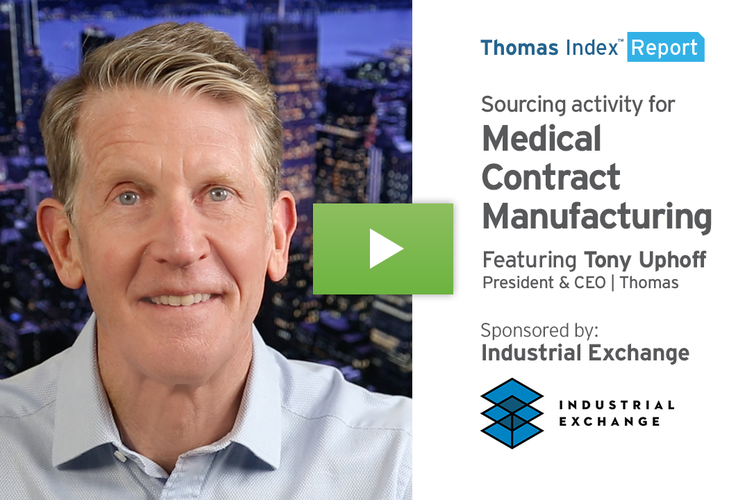 Since its launch earlier this year, the Thomas Index has covered sourcing trends in everything from Abrasives and Additive Manufacturing, to Steel and Wastewater Treatment Services. 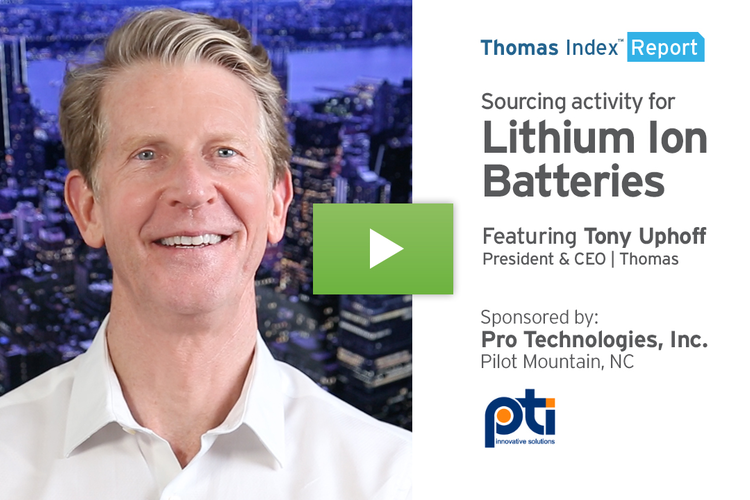 First, out of the more than sixty-thousand product and service categories featured in the Thomas Network at Thomasnet.com, we’ll take a look at the Top Ten categories that had the most sourcing activity by volume on our platform in 2017. Second, we’ll cover the 10 product or service categories that saw the biggest year-over-year increase in sourcing between 2016 and 2017. Here are the Top Ten sourced product or service categories on our platform in 2017. Topping the list is Injection Molded Plastics. This is a top category year-after-year at Thomasnet.com, and we covered it in-depth in a Thomas Index back in September. Following that at the top of the list were Printed Circuit Boards, Corrugated Boxes, and CNC Machining. CNC Machining is another category that shows up in the top 5 sourced services year in and year out at Thomasnet com. Next on our Top Ten list, we had buyers sourcing heavily for Food Products, Metal Stampings, and Plastic Bottles. Rounding out the Top Ten were the categories of Metal Fabrication, Sewing Contractors, and Contract Manufacturing. If you’re a supplier of any of these top ten products or services, clearly there’s a tremendous amount of opportunity happening every day in the Thomas Network at Thomasnet.com. Now let’s take a look at the ten product or service categories that saw the biggest increase in sourcing activity on our platform in 2017, over 2016. At the top of the list is square and rectangular tubing, which saw sourcing activity increase 96 percent this year over last. Next is robotics systems integrators, which is up 78 percent in 2017. 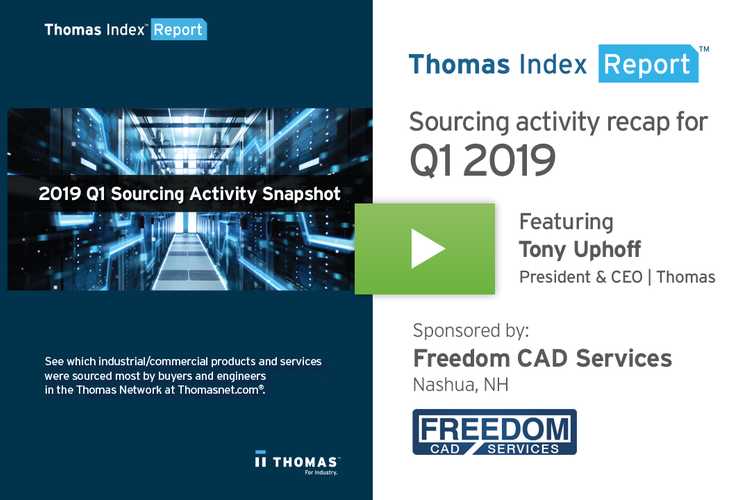 This increase aligns with the growing adoption of industrial automation, which we covered in a Thomas Index back in September. Sourcing for the gas nitrous oxide is up 70 percent this year over last at Thomasnet.com. This is an interesting category – nitrous oxide is not just used as anesthesia; it’s also used as a food processing propellant and in semiconductor manufacturing. The next biggest gainers were hydraulic pumps, up 51 percent, injection molded plastic fabrication, also up 51 percent, and sourcing for lighting, which is up 49 percent. 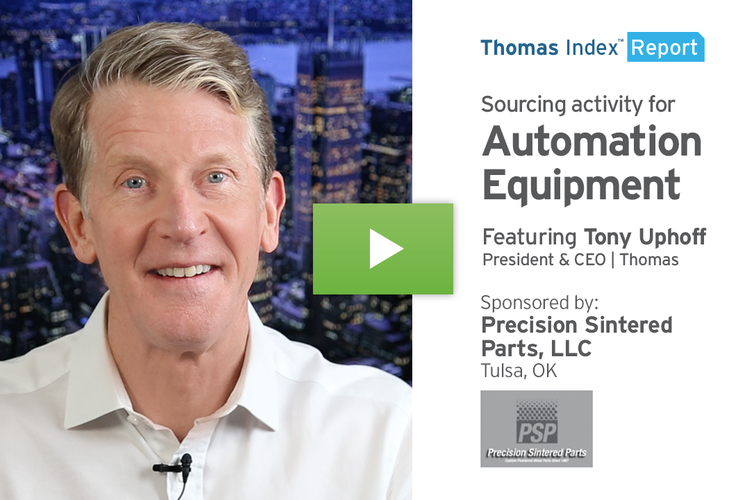 In a category closely related to robotics systems integrators, sourcing for industrial automation systems integrators is also up 39 percent this year. 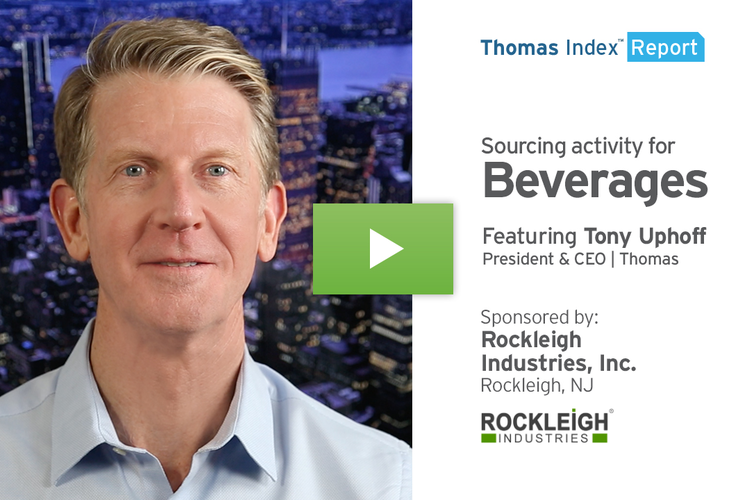 Sourcing for Private Label Manufacturing is up 28 percent this year - we covered this category in depth in a Thomas Index back in August. Rounding out the top ten biggest gainers in 2017 are the categories of sensors, which is up 27 percent, and contract packaging: bottle filling, which is up 25 percent. Hey listen, a huge amount of sourcing activity happens 24 hours a day, 365 days a year in the Thomas Network at Thomasnet.com. We’re looking forward to continuing to spot trends within that activity in 2018, to bring you information that can help you inform your decision making as you look to grow your business. 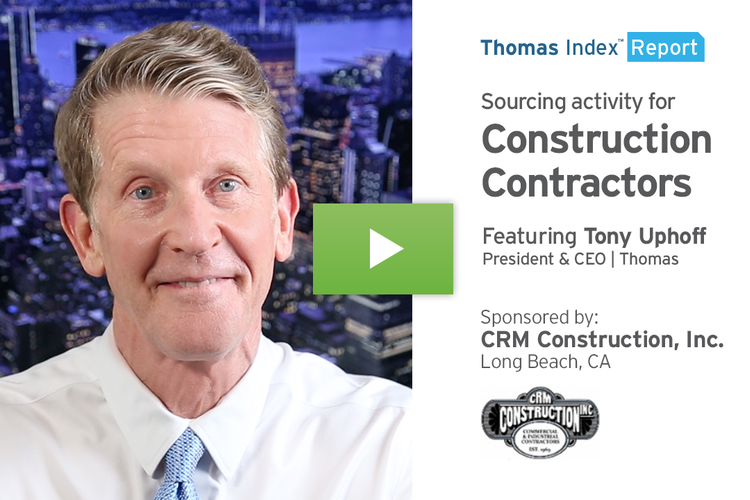 Have a safe and Happy Holiday season, and I’ll see you with our next Thomas Index.